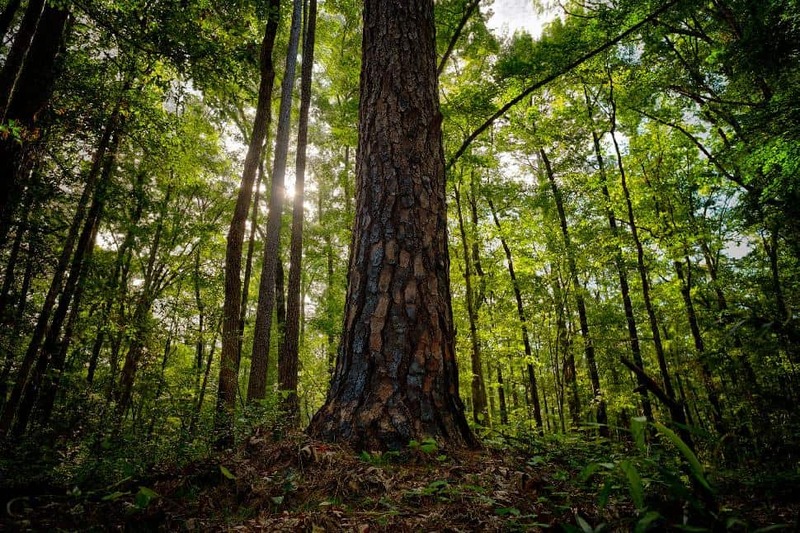 The Kisatchie National Forest is the only designated wilderness area in Louisiana, and as such, receives the undivided attention of the trail and forest service that have formed some of the best hiking trails in the state. Historically, the area was a popular hideout for outlaws primarily for its thick forests, dry land and rocky ridges and outcropping. 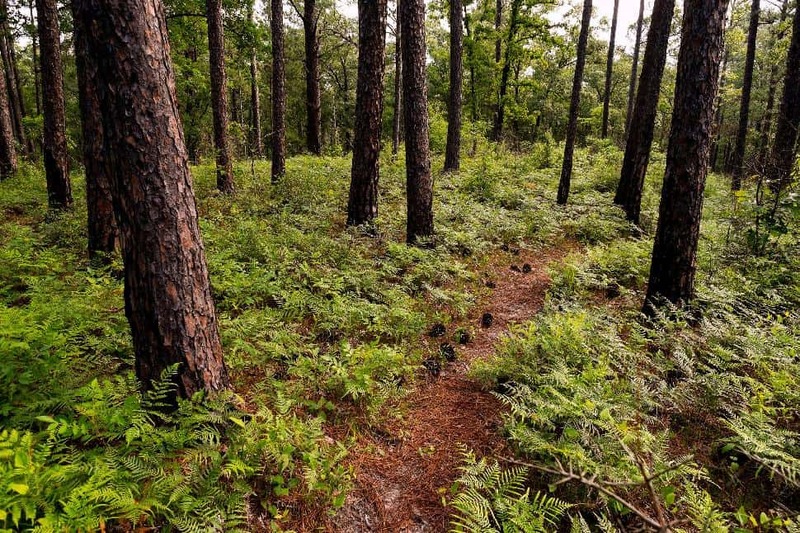 The Backbone Trail shows off the rich forest and bluffs that sit just outside of the Kisatchie Bayou as well as why it was such prized land to hide out in. By itself, the Backbone Trail spans just over seven miles, but it is frequently hiked in conjunction with the Caroline Dorman Trail to extend the hike by an extra eleven miles, showcasing almost everything the park has to offer. Both trails cater to not only hikers, but cyclists and horse riders as well. From the nearest town of Alexandria in the south, visitors head north on I49 for about 30 minutes before taking Exit 119 to Highway 119. Following 119 for seven miles, visitors will turn right onto Longleaf Vista and follow it for approximately five miles. Parking for both the Backbone and the Caroline Dorman trailheads will be on the left just past the Kisatchie Wilderness sign. The parking area near the trailhead features water and toilets, some of the few facilities in the area. Those hiking in the hot and humid summer months will definitely want to stock up on water before departing, although there are a few springs to drink from for those that don't mind drinking rough. 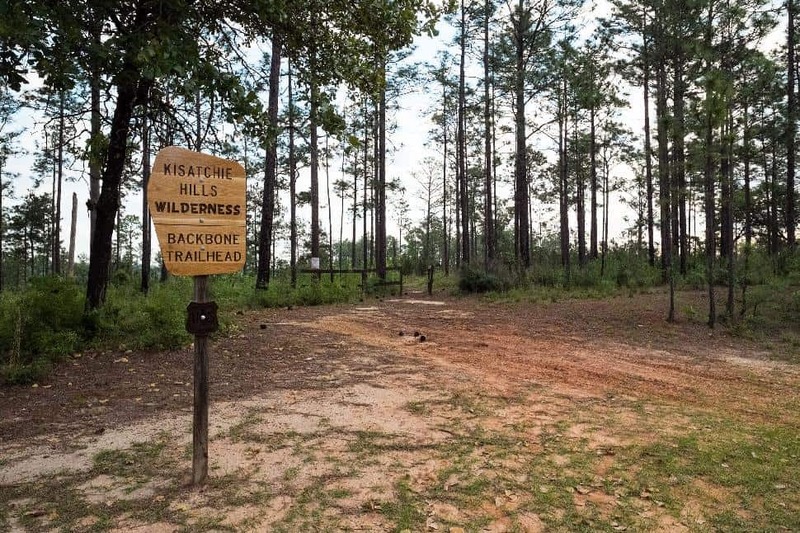 It is also worth noting for those who frequently stray from hiking trails that the Kisatchie Wilderness is one of the most popular hunting areas in Louisiana during the fall, but so long as visitors stay on the trail there should be no incidents. Starting from the north trailhead, the Backbone Trail follows along an old road bed that was dug, but never paved. Due to the nearby bayou, the trail is clay based in some parts, but usually very sandy. The trail begins by heading into thick forest of oak and tall evergreens. Unfortunately there are no bald cypress trees that visitors have come to expect from the state until they get into the bayou. About a mile and a half into the trail, visitors come to large sandstones that serve as overlooks above the tall tree line. The view is kind of sparse with the forest extending for miles and only dotted with a few prairie areas, but climbing on the rocks proves to be one of the most popular activities along this hike. Just a little further at the two mile mark, the Backbone Trail splits into the High Ridge Trail that veers off to the left. At only one and a half miles long, the High Ridge Trail is never a bad choice for a side trip as, like its name suggests, it stays high on a ridge and provides some excellent views of the wilderness. However, those following the Backbone Trail will want to keep right and make sure they make the right turn, this junction isn't well marked. As the trail goes on, the area starts to get a little hilly with the tallest point at the four mile marker as the trail heads up a ridge. There are a few primitive campsites here and with the view and the occasional breeze, it makes a good place to stop for lunch. Just beyond the ridge is the Bayou Cypre, the only source of water along this trail. The clear, flowing stream is located just beyond a thicket of trees on the left, with hikers hearing it well before they see it. The old road bed officially ends just past the Bayou Cypre with the last few miles tracing a well tread game trail. From here on out the Backbone Trail becomes a serious workout as it manages to trace one of the few hilly areas in the state. Hikers travel down hills, cross over Bayou Cypre drain pits and climb back up yet another hill, repeating throughout the last leg of the Backbone Trail. On rainy years, the Bayou Cypre drainage pits will likely be filled with water, but they are usually easy to hop across. However, since most years in Louisiana are wet years, the pits have created swampy areas at the bottom of the hills that can slippery, shoe-sucking mud pits. Caution is advised. The last hill is topped by a rocky outcropping and just below is a spur for the Turpentine Hill Trail that winds off to the left. The Turpentine Hill Trail heads back into the hilly areas beyond to explore a number of sandy outcroppings at just a half a mile long trip. The Backbone Trail officially continues on through prairie land and dead ends into the Longleaf Scenic Highway. Visitors are now faced with two choices. The hike can easily be done in reverse, or it can be turned into a loop. Turning left and heading south on the Longleaf Scenic Byway, hikers who follow the road will come to the end of the Caroline Dorman Trail. This trail, named after the first woman to work in the forestry service, will add an extra eleven miles, but will loop back towards the trailhead parking area and feature some new scenery (and fewer hills) on the way back. Have you hiked the Backbone Trail?